My name is Ron Smith with Wagner Electronics, and I’d like to welcome you to this webinar on Relative Humidity Testing in Concrete Slabs. The main presenter will be Howard Kanare, Senior Principal Scientist of the CTLGroup Laboratories out of Skokie, Illinois. About halfway through Howard’s presentation, I’ll be back and begin introducing some of the advantages and technical superiority of Wagner Electronics’ Rapid RH Relative Humidity Method for testing concrete slabs, why it is superior to the other relative humidity testing methods. Every year hundreds of millions of dollars are lost through floor covering failures due to moisture. 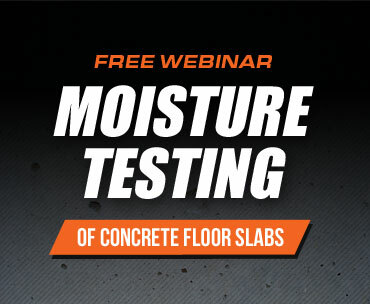 We trust that the information in this webinar and the tools presented will stand between you and a potential catastrophic flooring failure due to moisture. So, without further delay, we present Moisture Measurement in Concrete.